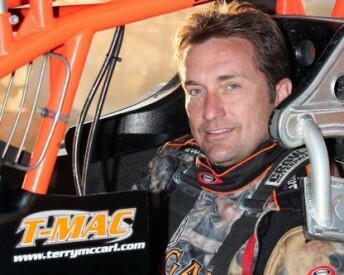 Terry McCarl led the American charge at Warrnambool last night. American Terry McCarl led the charge by Uncle Sam’s brigade in the Australia Day round of the Performance Wholesale World Series Sprintcars Championship at Warrnambool in Victoria last night. McCarl stood on the American-filled podium with the hard charging Wayne Johnson (second) and Danny Smith (third) alongside. 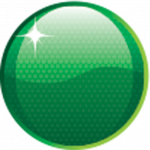 Rising star James McFadden was the first Australian across the line in fifth behind former World Series runner-up Jason Johnson. McCarl, who earlier in the night set quick time, battled his way to a well-deserved victory after an enthralling six way battle emerged between him and his fellow countrymen Jon Allard, Jason Johnson, Craig Dollansky, Smith and Wayne Johnson. 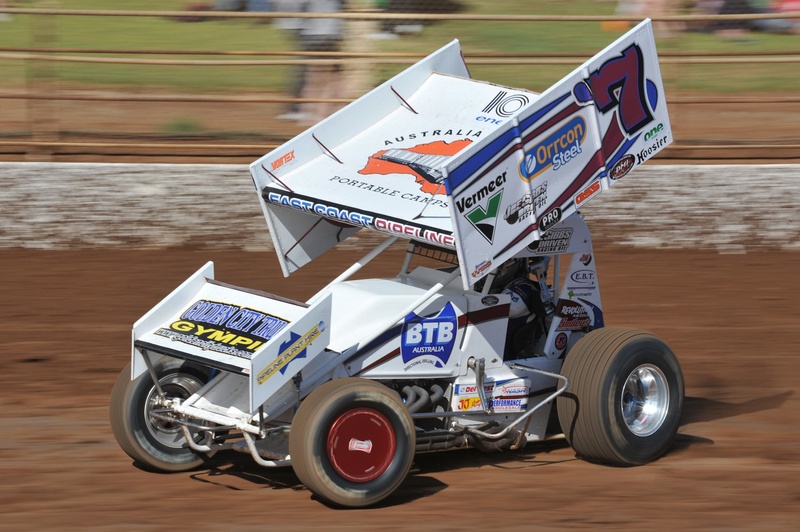 Meanwhile the Aussies had their own race with McFadden, Ryan Farrell, Brooke Tatnell, Ian Madsen, Steve Caunt and Jamie Veal trading places early in the race. Allard, who started from pole position, set the early pace from Jason Johnson while McCarl traded places with Dollansky several times before securing third and setting out after the early leaders. McCarl rapidly caught the two early leaders mid-race and made the low-line work perfectly to snare the race lead. On lap 23 Steve Caunt spun in front of the approaching leaders. Caunt tried desperately to avoid contact with the oncoming traffic but to no avail as he was clipped slightly by Allard and then head on by Dollansky who had nowhere to go. Dollansky was unable to restart after sustaining front end damage and Allard suffered a flat left rear from the incident. McCarl led away at the restart and despite having his engine going ‘off song’ late on the race he went on to take a well deserved victory. “Happy Australia Day, I love it!” proclaimed McCarl on the podium. “I am not sure what happened (near the end of the race) I think we broke a rocker, hell that sounds like an excuse so we had a great car and I am real happy that these guys gave me an opportunity to race. 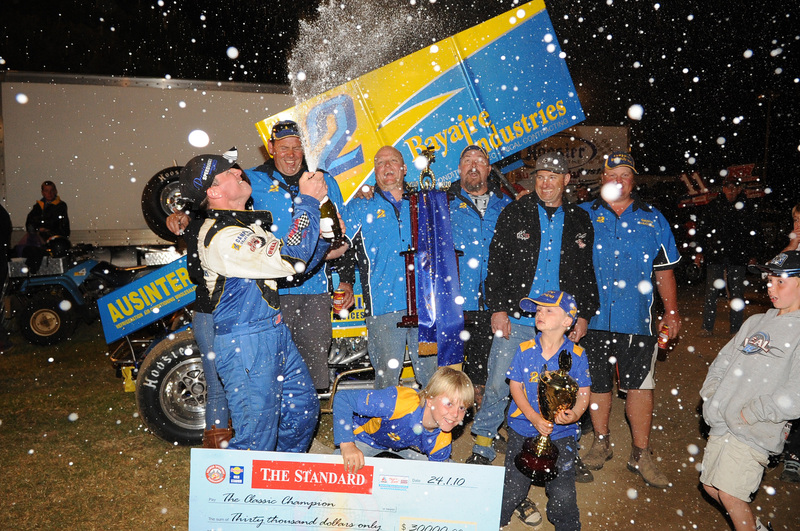 The Performance Wholesale World Series Sprintcar Championship will now head to Western Australia for the final swing of the 2009/2010 series.